This week’s contributing blogger, Ana Ribeiro, is a Time-Based Media (TBM) conservator at Tate. She studied conservation and restoration in Lisbon (Faculdade de Ciencias e Tecnologia, Universidade Nova de Lisboa) and her MA thesis was about issues in the presentation of time-based media works. Ana trained in media art conservation at the S.M.A.K., LiMA, and at TATE. On the afternoon of the 16th of January 2017, Tate Modern hosted a public event organized by NACCA, New Approaches in the Conservation of Contemporary Art. 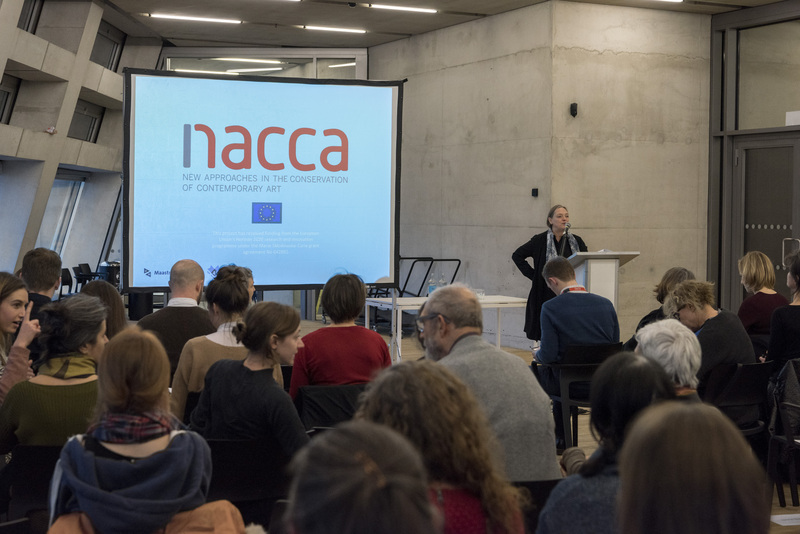 NACCA is a research and training program focused on contemporary art conservation that hosts 15 PhD projects as part of The Marie Skłodowska-Curie Innovative Training Network. The University of Maastricht coordinates this international collaborative program, connecting several university and museum partners in Europe. Together they create an extraordinary platform for rethinking the practice of contemporary art conservation. This is the largest international project to focus on the conservation of contemporary art since NeCCAR, which organized conferences such as Performing Documentation in Contemporary Art Conservation (Lisbon, 2013) and Authenticity in Transition: Changing Practices in Contemporary Art Making and Conservation (Glasgow 2014). Other initiatives are also currently being developed in Europe, such as MAPS in Budapest, or the intermittent conferences being organized by LiMA in Amsterdam. NACCA develops periodic events such as summer and winter schools for its members, in addition to events that are open to the public. 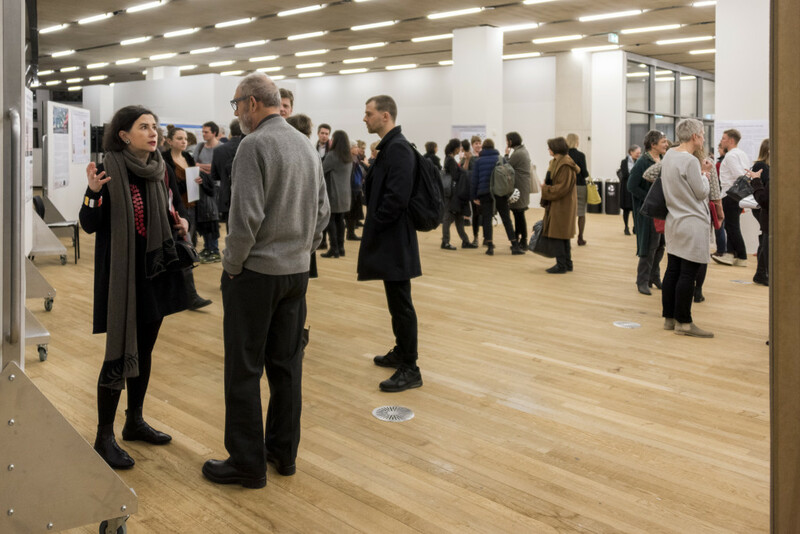 The most recent one, organized at Tate Modern, consisted of presentation and poster sessions where NACCA’s students shared their research themes and discussed their work in progress with the arts community. During the sessions it became clear how the students and their varied backgrounds – conservation and artist practices, anthropology, art history, museum studies or curating, etc – are bringing new perspectives into the field. The work developed between theory and practice creates a much-needed dialogue between academics and professionals to examine institutional practices. The engaging presentations reflected on many different aspects of contemporary art conservation, such as authenticity, presentation, documentation, professions’ roles, institutions, materials, and technologies. As a conservator working with TBM artworks across different stages of their lifecycle (acquisitions and loans), I am very interested in how an artwork is shaped by joining a collection and how documentation and one’s subjectivity impacts the way it evolves within a collection. 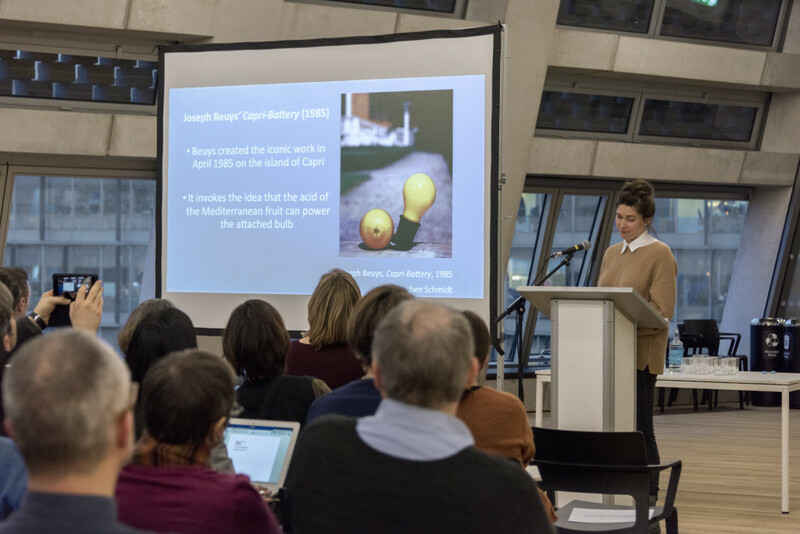 This subject was approached when conservator and PhD candidate Nina Quabeck discussed the interpretation of the artist’s intent through the case study of Joseph Beuys’ Capri-Battery (1985) and reflected on the replacement of a real lemon by a wax-reproduction one to relieve a busy department from the task of changing lemons every 2 to 3 days. She pointed out how the artist’s instructions or intent can be subject to interpretation when reaching decisions at an institutional level. The conservation of Capri-Battery poses questions about functionality and equipment reliability versus originality in a manner very similar to the questions that challenge TBM conservators on a daily basis, particularly in relation to the management of change, and its impact on an artwork over time. This is a subject that Claudia Roeck intends to develop in her project about long-term preservation of software-based artworks, in which she proposed not only to compare new case study analysis in order to evaluate different preservation strategies and their sustainability, but also revisit older case studies (e.g. Inside Installations’ case study Albert’s Ark by Bill Spinhoven) to reflect on the artwork’s change over time. The aspects described above are key when processing loans as they provide a much-needed opportunity to assess artworks, revise knowledge, and revisit the documentation gathered at the acquisition or display stages. This is especially true for TBM artworks as technology is constantly evolving and obsolescence is a permanent risk. The evaluation of previous treatments and the surrounding decision-making processes are paramount to understanding how an artwork grows within a collection and to reflecting on the impact on the artist’s intent. The event ended with a poster session where the 15 projects were once more presented and which provided with the opportunity for open discussion with the public. This created the perfect environment for the exchange of experiences between academics and professionals across multiple disciplines. Furthermore, the event’s posters can be found on NACCA’s website. Furthermore, in June 2017 NACCA will be organizing the conference Material Futures: Matter, Memory and Loss in Contemporary Art Production and Preservation to take place at University of Glasgow. I look forward to hearing more about these research projects and how this open discussion will impact contemporary art conservation museum practice.